In this new insight, Rob Charlton, CEO of Space Group, talks about the progression of the Internet and Information Age to date and the future for the construction industry. Architecture and construction have been through the greatest change for a generation. We have entered the Information Age and where we once used paper and pens, we are now increasingly relying on computers, software and data. However, everything changes and we are about to move into the next generation of technological impact. Our processes for delivery have been influenced by this change, but the product or the buildings themselves have largely remained unchanged. That is all about to change as we enter the third wave of the Internet - where we move from the Internet of Things to the Internet of Everything. To understand the future, we need to understand how the Internet has progressed over recent years, from the first and second waves and the implication and impact of the third wave. The first wave was about building the infrastructure which would become the foundations for an online world. This involved investment from companies such as Cisco Systems, Sun Microsystems, Microsoft, Apple, IBM and AOL. These companies developed hardware, software and networks that would make it possible to connect people to the Internet and more importantly, to each other. The second wave began at the turn of the century - the dot-com bubble burst around the same time and a lot of people lost a lot of money, however some did survive and they were well placed to establish themselves to lead the growth of the Internet into the future. This wave was all about building on the already established Internet infrastructure. Search engines such as Google made it easier to access information available on the web, while retailers such as Amazon and eBay firmly established themselves in the marketplace, making the Internet now somewhere to shop. During this period, social networking took off with sites such as Facebook and Twitter establishing themselves and growing fast, with millions of users embracing these new platforms. Apple launched the iPhone and Google introduced Android, with the success of these devices helping to develop mobile use. Software as a service, combined with social networking sites, made communication and collaboration far easier. These products are infinitely scalable - adding new users is usually as simple as adding more server capacity or hiring more engineers. Today we can already see the second wave giving way to something new. Decades from now, when the story of the technological revolution is written, the early 21st century will be the period when the Internet really started to integrate with everything. It will be argued that this was the moment the Internet became embedded in society. This will be known as the third wave and is potentially the one which will have the greatest long term impact on us. Products will require the Internet even if they are not considered an online object. Internet-enabled will sound as unlikely as the term electricity-enabled. 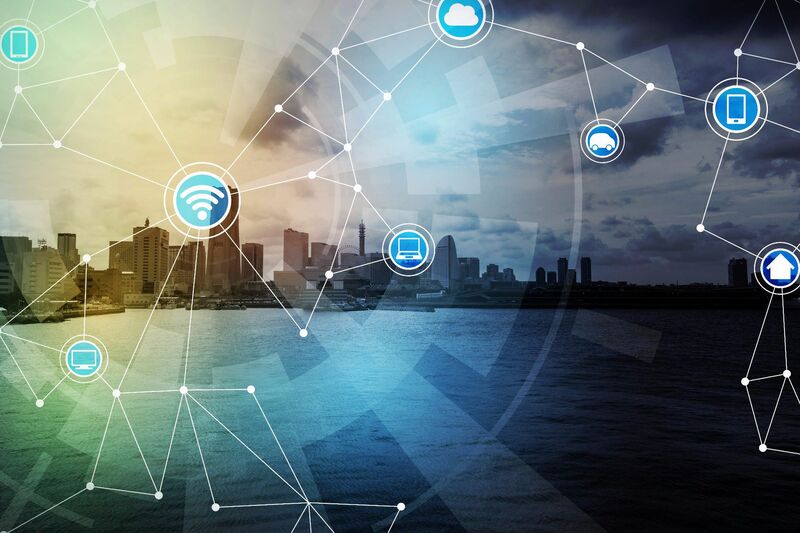 The Internet of Things, where we add connected sensors to buildings, will be too limiting as we embrace the Internet of Everything. All industries and all sectors will be affected. Design and construction will be rethought. The digital revolution which began at the start of this century will continue, though to date it has impacted on process rather than product. Buildings will become more like products and will link to users in the building and out. Monitoring of useable and optimization will become typical. A good precedent is to look at the Tesla car. Tesla have completely rethought what a car is and what it needs to be - it is more iPhone than car! Everything on the vehicle is digitally-enabled with a large number of the systems controlled by the Cloud. In design and construction, we do not need to do this all on our own. We should work with other sectors to learn from their experience, build partnerships and share technology. Traditionally the construction sector has invested little in their product. During the third wave we will see more investment in coders who build platforms which then become the heart of buildings. We will use big data to understand how buildings are used and operated to optimise efficiency. The next decade will be a pivotal point in our history as we move from the Internet of Things to the Internet of Everything – a time which should be embraced by the construction sector so we can continue to develop our position within the global market.